82 Comments	This post may contain affiliate links. 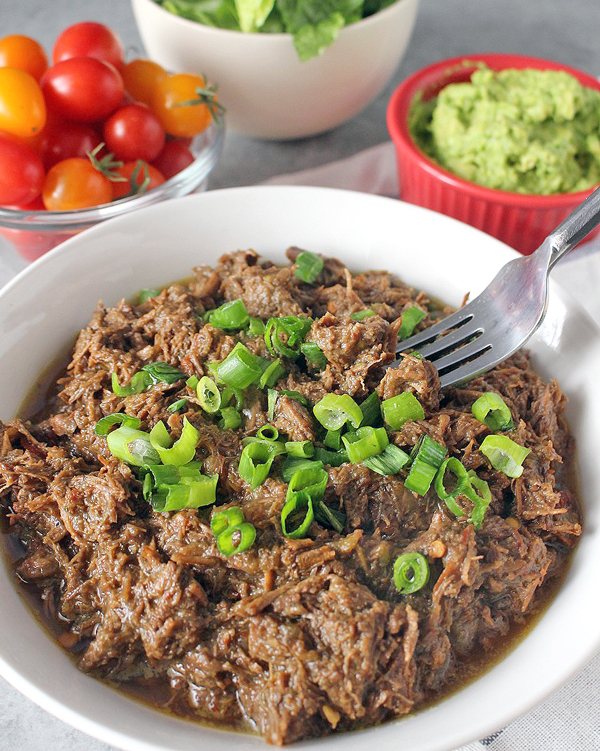 This Paleo Beef Barbacoa is tender, juicy, and spiced perfectly. Chipotle copycat, made at home and just as good! Whole30, gluten free, and incredibly delicious! Chipotle is one of the few restaurants I like eating out at. We don’t have a lot of healthy options around and I know they only serve quality meat and it’s easy to make a healthy meal there. It can be expensive, though so I decided to recreate my favorite meat at home and oh, it came out so good! 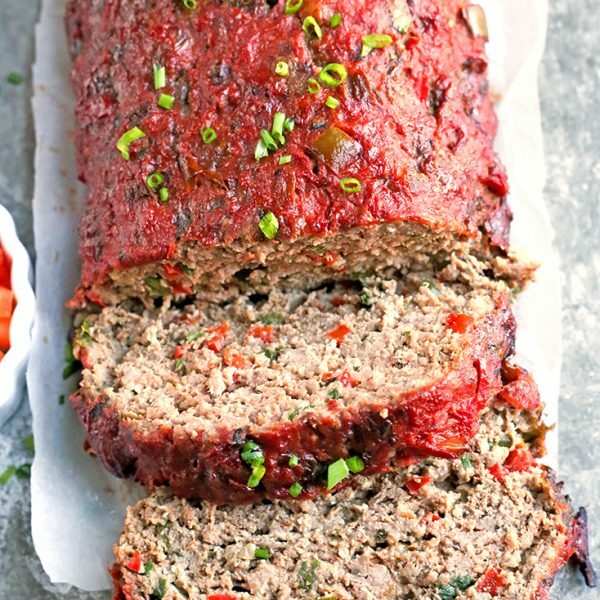 It is moist, flavorful, and spiced just right. Did I mention it is super easy?? That’s another thing I love about it. 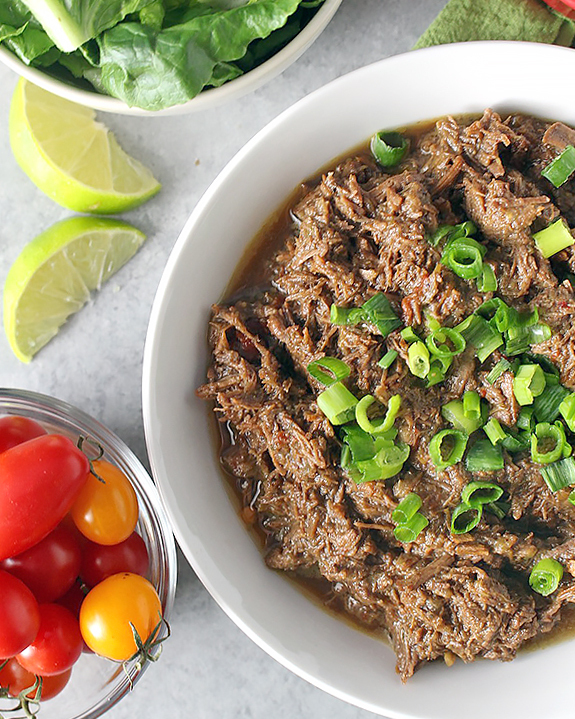 It’s made in the Instant Pot which has quickly become my favorite kitchen appliance. I’ve been using it weekly for meals, but I just haven’t taken the time to blog about any of them– until now. This one does not disappoint and is made in 1 hour! Tender, fall apart meat in one hour- yes, that is why I love it! 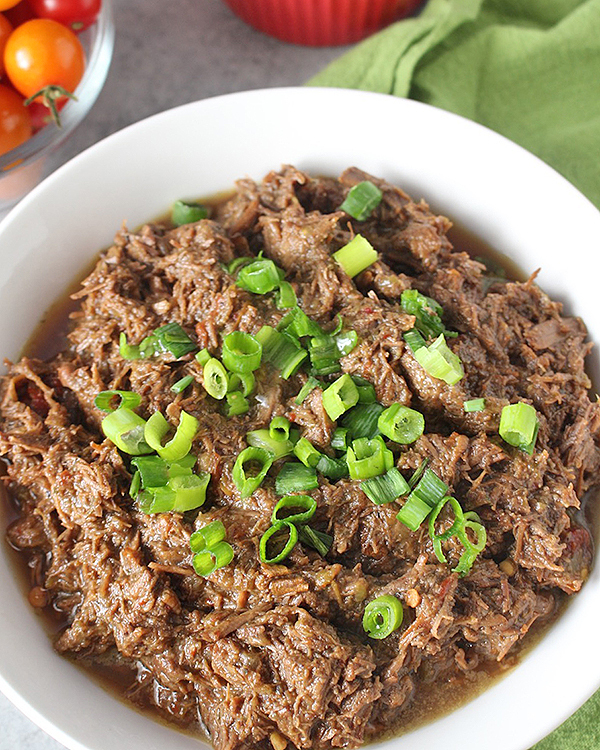 If you don’t have an Instant Pot, this can be made in the slow cooker on low for 8 hours. Just like at the restaurant, I like making a bowl with it. So I made a bed of romaine lettuce, topped it with this meat, some guacamole, and salsa. So so good! You could also put it in some paleo tortillas. I’ve recently been loving Siete Tortillas that are sold at Whole Foods- so nice when I don’t want to make them myself. 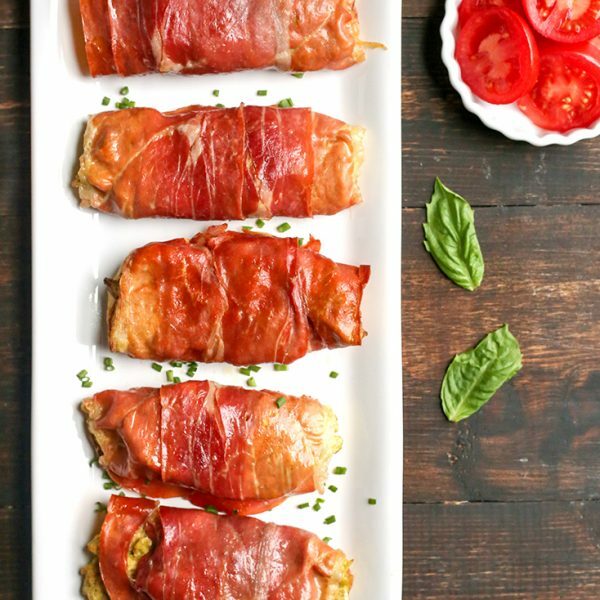 You will love how flavorful, tender and juciy this meat is! 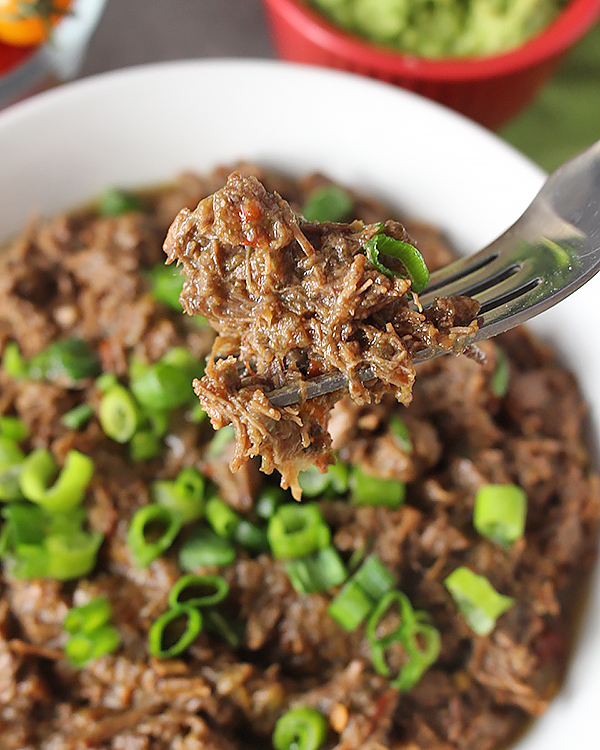 This would make a great addition to taco night instead of, or in addition to, ground beef. I’m so happy I was able to recreate this dish at home that tastes just as good as the restaurants! I know you’ll love it, too! 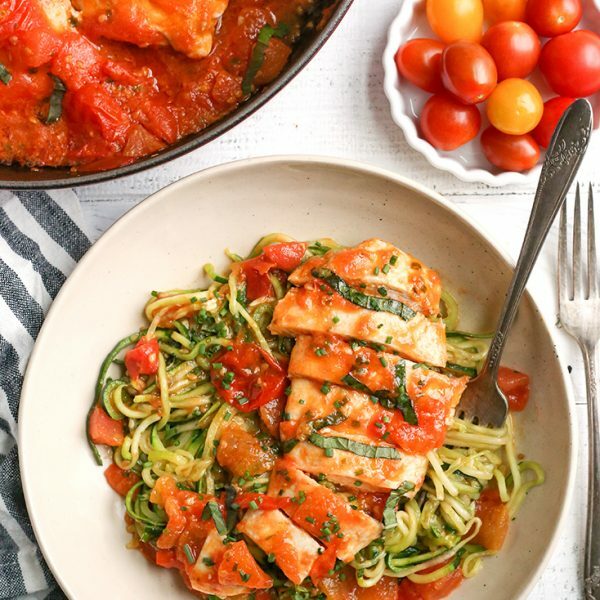 Looking for more easy Whole30 meals? Check out my Paleo Lemon Butter Chicken, Egg Roll in a Bowl, and Whole30 Chicken Tenders. UPDATED 11/18 with Low FODMAP instructions in the notes. 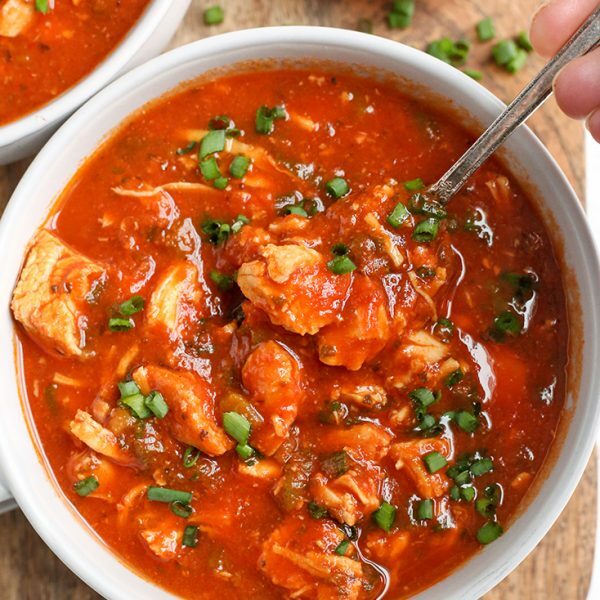 Add all ingredients to the Instant Pot and stir. Place lid on, make sure vent is closed, and hit the “manual” button. Increase time to 60 minutes. Once done, let naturally release or press “cancel” and release the pressure. Remove lid, shred with a fork, and hit the “sauté” button. Stir regularly as the juices reduce. This may take up to 20-30 minutes to fully reduce. *To make low FODMAP, use 1/2 cup green onions in place of the onion. 2 tablespoons of garlic oil in place of the garlic cloves. Follow the rest of the instructions as written. Always on the hunt for recipes that can adapt to a variety of dietary needs. This was delicious over a bed of greens as well as in (non paleo) tacos. I added more seasoning (chipotle chili powder, garlic powder, and more cumin) but kept everything else the same. So easy and flavorful – thanks for sharing! Will be back to try more recipes! You’re welcome, Kristin! Thanks for trying it and I’m glad it was enjoyed! Hi Ellen- you can use another type of vinegar. As for the chilis, my store always carries them in the produce department and sometimes they are hard to find. I hope you try it and love it! what are the approximate nutrition facts? or at least the calories? Hi Alexis- I don’t calculate that, but you can use a site like My Fitness Pal to figure that out if needed. If I don’t have the peppers but I do have chipotle chili powder, what would be the ratio substitute? Hi Becky- I’d say maybe 2 teaspoons of the powder. You can taste it and always add more if you want. Enjoy! Delicious. I ate this over mixed greens with avocado and pico de gallo for a solid whole 3 meal. I omitted the oregano, subbed apple cider vinegar for the coconut vinegar, and subbed 1 tsp chipotle powder for the dried peppers. Thanks for trying it, Jen! I’m so glad you like it!